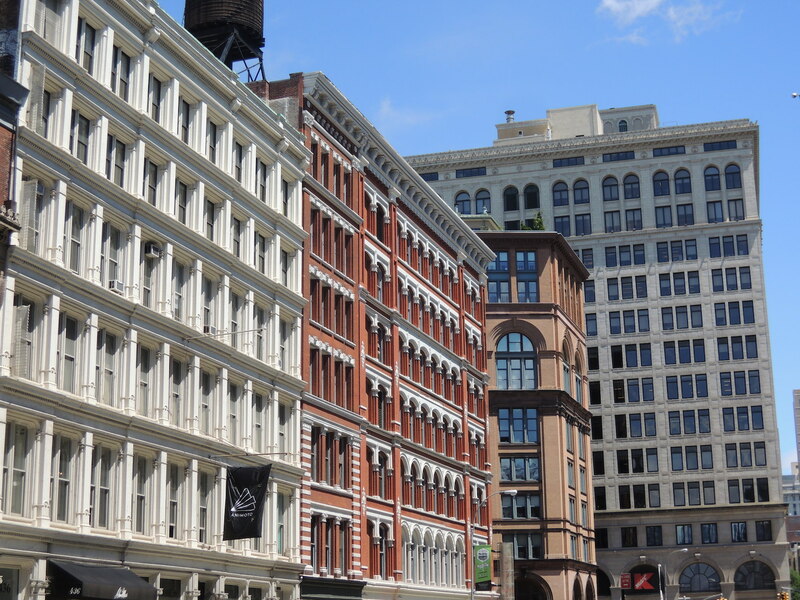 A collection of buildings along Lafayette Street in Astor Place, New York City, that I took while on a walking tour. A lot to love about these buildings, but I particularly like their use of color. Why do contempo architects have such an aversion to color? This entry was posted in Architecture and tagged Astor Place, color, Manhattan, New York City, NoHo. Bookmark the permalink. Can’t tell if granite-white building in the background is a modern structure or an older one that has been “re-veneered”. Does anyone know? Thank you; thought so. Am guessing the 3rd (or 4th) building in, the sort of pinkish one, is modern.